Lisbon is known as the city if the seven hills, it is a historical city with many stories in its roots. 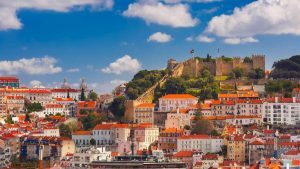 Discover this beautiful Portuguese city where the sun shines 290 days a year and the temperature rarely drops below 15 degrees. As a single travelling alone, you can feel safe strolling around this picturesque either in the daytime or at night. You can find hotels and restaurants to suit every taste, budget, and requirement, so even on a single income you can have a fantastic getaway! There is so much to do in Lisbon, such as a visit to the Jeronimos Monastery, or the Moorish quarter. Admire the ancient houses and stairways, and even enjoy some shopping in the area! Tenerife is the largest of the Canary Islands and has a vibrant nightlife, alongside stunning beaches. It is the perfect singles getaway with so many activities like wind surfing, jet-skiing, mountain hiking, and don’t forget its iconic clubs and dive bars. However, it is said that there is nothing better to do than to reach the top of Mount Teide for a simply breath-taking view of the whole island. 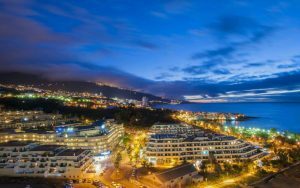 The most popular resort for singles is the Puerto de la Cruz, which sits on the Northern tip if the island amongst the beauty of the Orotava Valley. The neighbouring old town is a great place to explore with its quaint alleys and colonial style cafes. There is also plenty of great shopping with tons of boutiques. In addition, there is an animal adventure park with dolphins, and orcas. Rest assured you won’t feel alone on this warm and welcoming island with so much to do. With hundreds of miles of magnificent land stretching along the Southwesterly extreme of India, Kerala borders a pretty coastline of lagoons and rivers. These stunning bodies of water make Kerala the jewel of India. Holding a deep mythology within its architecture and design the land is hidden within exotic palm trees and fine sandy beaches for the utmost tranquility. Of all the activities in Kerala, exploring the emerald landscape is unforgettable, with tropical wildlife and an abundance of beauty. The best way to stay here is in a houseboat, floating along the complex, winding structure of the lakes and lagoons as you pass through tribal villages and coconut groves. Traditional Indian culture is prominent here, Kerala enjoys influence from all over Europe to provide a colourful environment. In addition, there are thousands of festivals to get involved in throughout the year, celebrating music, food, dance, you name it! The most rated singles stay is at the Marari Beach resort. Here there are soft, sandy beaches, coconut palms and a friendly and welcoming setting. Yoga sessions can even be enjoyed at the beachfront, or if you are craving some more action there are a number of water sports to try. Finally, the resort has a great spread of meals which highlight the best aspects of Indian cuisine, you can even enjoy an authentic Indian beer or fresh coconut with your meal. This destination is set amongst mountain landscapes, and warm beaches. It is the perfect getaway for singles, as you will fall in love with the city. Cuba is full of character as it boasts two world heritage sites, and with a warm vibe that helps you to transcend the hustle and bustle of everyday life. The backdrop of bright blue skies perfectly contrasts with the colourful buildings, rich in history with striking architecture and African-American influenced streets. Take a step back in time in Havana as you witness the cars of bygone eras and old-school style of the city. 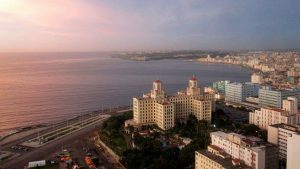 Usually tourists in Havana kick back and have a lazy afternoon with mojitos and cigars, but there is plenty to get active with. Perhaps take part in a baseball game, scuba diving lessons, or explore the mountains. At night watch the city come alive with exotic music, cuisine, and first-class hospitality. Varadero is the resort to stay at for glimmering waters and a great selection of café bars. The Caribbean scenery is at its peak here, alongside the energetic atmosphere and choice of water-based activities going on throughout the day. Last, but definitely not least is Naples. This ancient city is ingrained with history and culture, with one of the most celebrated coastlines. This is truly a remarkable city. Find passion amongst this historic heart of Italy; its labyrinthine lanes show off its roman ruins, medieval structures, and palaces, hidden within cobbled streets and grand piazzas. Mount Vesuvius towers over this city adding to its theatrical nature. Most importantly is the cuisine in Naples, which boasts many Michelin starred restaurants. Or perhaps you just want to grab a bite of some authentic, incredible pizza. 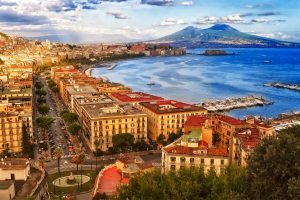 If you are looking for a city inexhaustible with energy and intrigue then Naples is worth a visit.